Retaliation: Tomahawk missiles from the “USS Porter” on the way to the Shayrat Air Base on April 6, 2017. Quelle: picture alliance / Robert S. Pri/dpa Picture-Alliance / Robert S.
25 Jun 2017 – On April 6, United States President Donald Trump authorized an early morning Tomahawk missile strike on Shayrat Air Base in central Syria in retaliation for what he said was a deadly nerve agent attack carried out by the Syrian government two days earlier in the rebel-held town of Khan Sheikhoun. Trump issued the order despite having been warned by the U.S. intelligence community that it had found no evidence that the Syrians had used a chemical weapon. 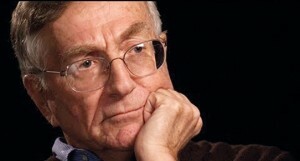 Seymour M. Hersh exposed the My Lai Massacre in Vietnam 1968. He uncovered the abuses at Abu Ghraib prison in Iraq and many other stories about war and politics. This photograph by the Syrian opposition (Edlib Media Center) shows the aftermath of a strike against the town of Khan Sheikhoun. A large building was hit, but it’s unclear were the strike took place exactly. President Donald J. Trump with some of his closest advisors at Mar-a-Lago on April 6, 2017 at a top secret briefing on the results of the missile strike on Shayat Air Base. The Tomahawk missiles only did little damage to the Syrian air base. The White House did not answer specific questions about the bombing of Khan Sheikhoun and the airport of Shayrat. These questions were sent via e-mail to the White House on June 15 and never answered. Seymour M. Hersh has been a contributor to The New Yorker since 1993. He is a regular at London Review of Books and is writing an alternative history of the war on terror. His journalism and publishing awards include a Pulitzer Prize, five George Polk Awards, two National Magazine Awards, and more than a dozen other prizes for investigative reporting. Hersh won a National Magazine Award for Public Interest for his 2003 articles “Lunch with the Chairman,” “Selective Intelligence,” and “The Stovepipe.” In 2004 he exposed the Abu Ghraib prison scandal in a series of pieces; in 2005, he again received a National Magazine Award for Public Interest, an Overseas Press Club award, the National Press Foundation’s Kiplinger Distinguished Contributions to Journalism award, and his fifth George Polk Award, making him that award’s most honored laureate. He lives in Washington DC. This clarifying report is very necessary in light of the misleading reports we have had from large media outlets. It is significant, not only in the information it provides, but in becoming a caution to read all of the “news” with a hunger for factual information and not for the conclusions of reporters or “repeaters”. 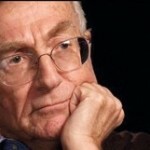 Thanks Seymour Hersh for paying attention and following down the facts.